We all know that pollution is harmful. If I asked you why exposure to it is bad for you, you'd probably tell me that it makes it harder for you to breathe or you're worried it could cause cancer. And you'd be right. But did you know that pollution can also damage your skin? It's true, unfortunately. The good news is that we can fight it with the proper tools. First, you should know what pollution is doing to your delicate skin. 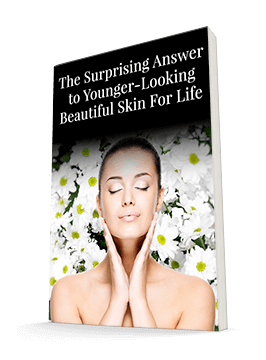 A study published in the Journal of Investigative Dermatology in 2010 examined the skin aging of 400 Caucasian women ages 70 to 80. They then determined how much pollution the women were exposed to based on where they lived. 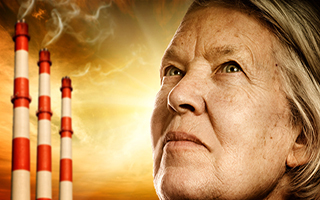 You guessed it – the more pollution, the more aging. In fact, women who lived within 100 meters of a high-traffic street had 35% more age spots on their foreheads and 15% more on their cheeks than those who lived further away. Another study, recently published in the Journal of Dermatological Science, reviewed available research on pollution's effects on the skin. It found that this is an inescapable problem. Ambient particulate matter in the air is aging your skin, no matter whether it's healthy or already diseased. If you have sensitive skin, you may fare even worse. Plus, while pollution is damaging your skin, ozone in the atmosphere is depleting the antioxidants we need to fight this damage. After hearing that, it's easy to want to stay inside forever. Of course, that's not an option. Fortunately, there are things you can do to care for your skin and combat the damage caused by pollution. First, since ozone is depleting our antioxidant stores, it's important to replace them. You can apply antioxidants externally, and you should also include them in your diet. They'll benefit every aspect of your health, not just your skin. Second, protect your skin when you go outside. Sun damage intensifies the effects of pollution, so make sure you always wear your SPF. Finally, and most importantly, clean your skin. You must remove the dirt and pollutants that accumulate on your skin so they can't penetrate deeper and do more damage. It won't do you any good to slather on creams and lotions if you're trapping dirt underneath. Their ingredients won't penetrate effectively, but the pollution will. You need a good, effective cleaner to clear away all that grime. That's why I love Système 41's Purifying Cleanser. Not only will it help wash away the pollution, it's full of antioxidant-rich ingredients to help repair any damage you've sustained during the day. Plus, it won't irritate your skin, making you more vulnerable to damage. Everyone will experience some damage from pollution — it's inevitable. But you don't have to let it sit on your face and continue to do harm. Système 41's Purifying Cleanser lets you wash away the grime of the day, every day.